Uinta County officials have endorsed a private company’s proposal to build a for-profit immigration jail near Evanston, Wyoming. 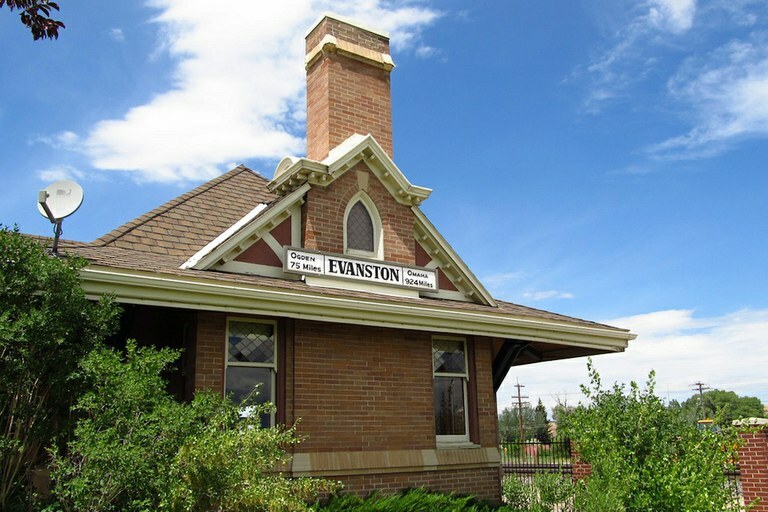 The Union Pacific train depot in Evanston, Wyoming, was built in 1900. They’re also not convinced an ICE detention facility would be subject to the same state laws that would apply to a private prison. “It is not per se a correctional facility,” Howieson said, instead describing the potential facility as “a civil holding facility for immigration services.” Those held in the facility wouldn’t be inmates but “civil detainees,” she said. Like much of Wyoming, Evanston has been suffering from a downturn in the oil and gas industry. The MTC facility has the potential to create between 100 to 120 jobs, proponents say. The starting salary for a correctional officer would be approximately $21 an hour, a number Murphy said was “pretty much” guaranteed for a federal contract that would be regulated by U.S. Department of Labor rules. “That’s a pretty good job in this area nowadays,” South said. People with just high school diplomas would be eligible for many of the jobs, he said. The downside to that model, critics say, is that the county could be left owning a building designed for a specific purpose — holding detainees — when and if the political winds driving the need for such a facility change. “I can’t see high school kids graduating and going out and being guards at a prison,” she said. “I think (MTC) would bring in their own people.” If the company did hire locally, “I wouldn’t want my grandson working there,” she said. Evanston is home to Wyoming’s State Mental Hospital. A reporter for the Uinta County Herald, Sheila McGuire, noted the hospital is also adjacent to Bear River State Park, on the other side from the proposed prison site. “I guess our state park would be in between the state hospital and the ICE Facility,” McGuire said. 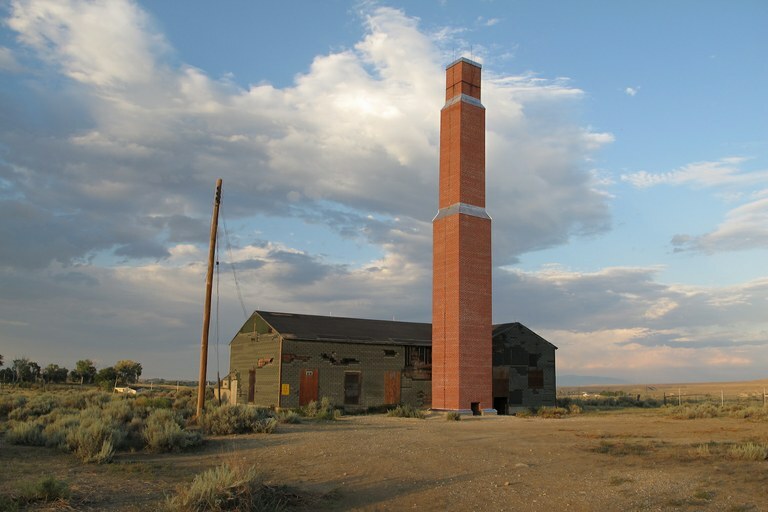 The Heart Mountain Japanese internment camp remains as a reminder of Wyoming's history. But the potential negatives are outweighed by the potential positives, South said. “A lot of (opponents) are thinking that it’s going to be a concentration camp,” he said. However, the county commissioners intend to ensure the lease would be for a humane, safe facility, he said. If the project advances, the commissioners intend to visit a similar MTC facility in California. “If we see any hiccups we’ll address them,” he said. Andrew Graham reports for WyoFile from Laramie. He covers state government, energy and the economy. Reach him at 443-848-8756 or at [email protected], follow him on Twitter.